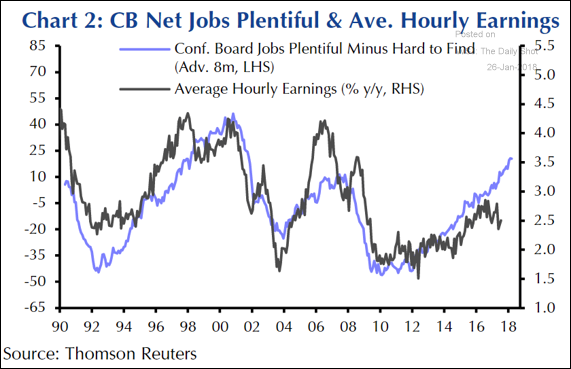 The United States: Economists continue to predict an acceleration in US wages. 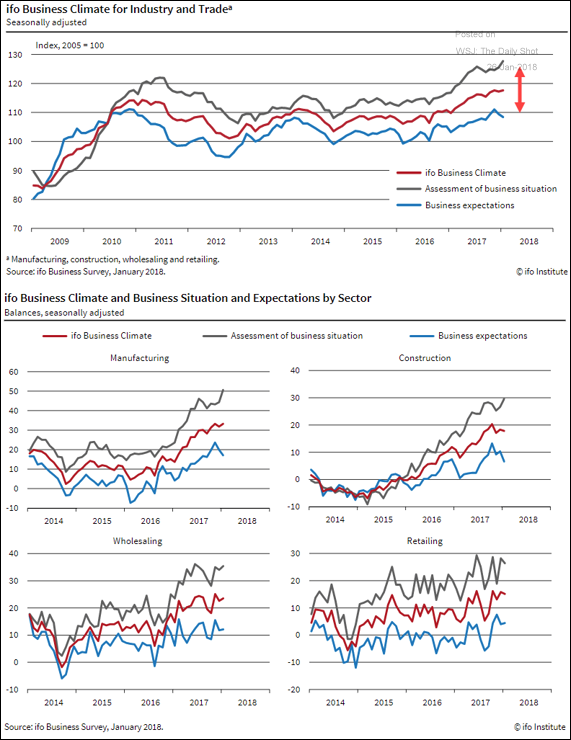 The Eurozone: German business climate keeps improving. 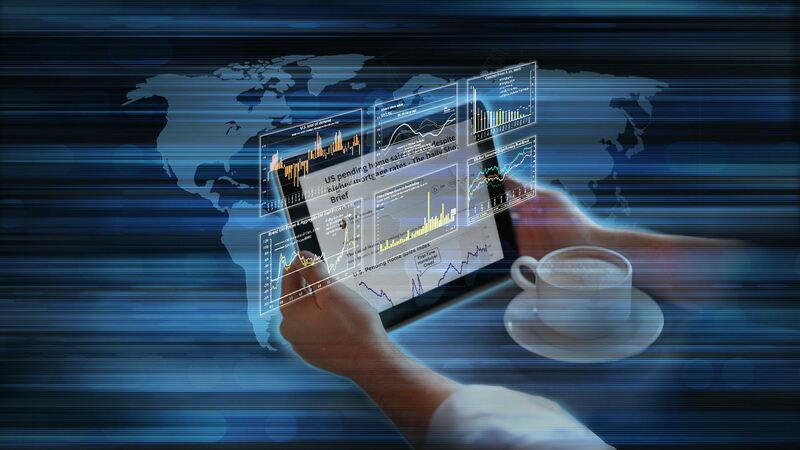 However, there is a widening gap between the current conditions and business expectations. The second set of charts below shows the sector breakdown. 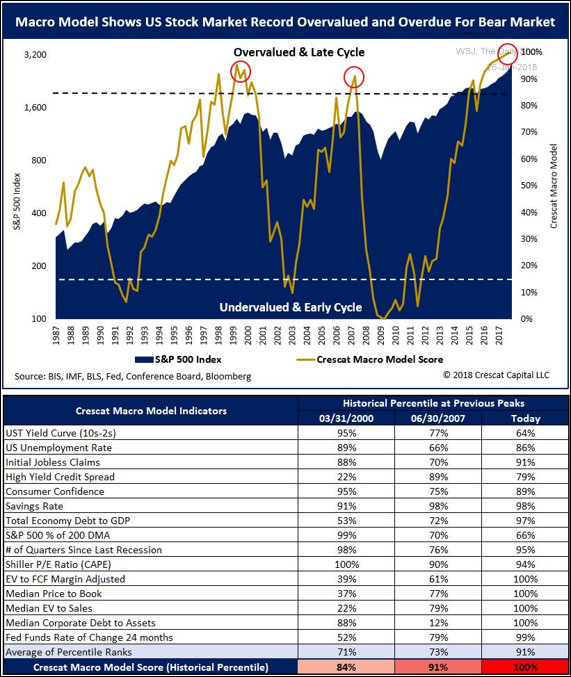 Equity Markets: Analysts continue to raise concerns about valuations. 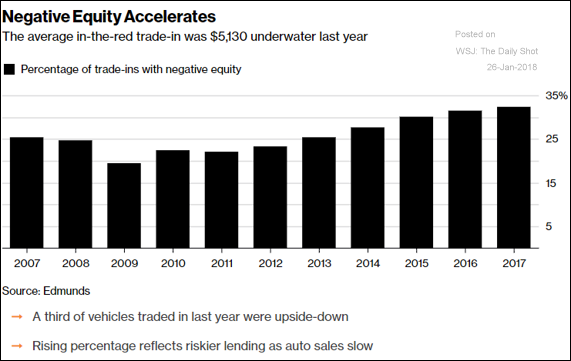 Credit: The percentage of “underwater” automobile loans keeps climbing. 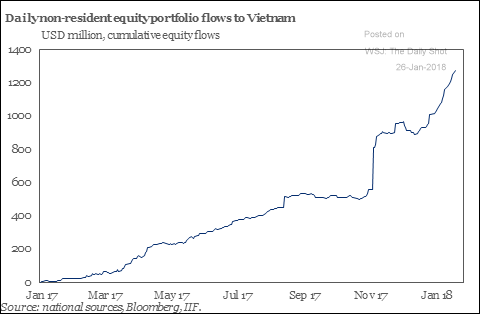 Emerging Markets: International EM investors have fallen in love with Vietnam. 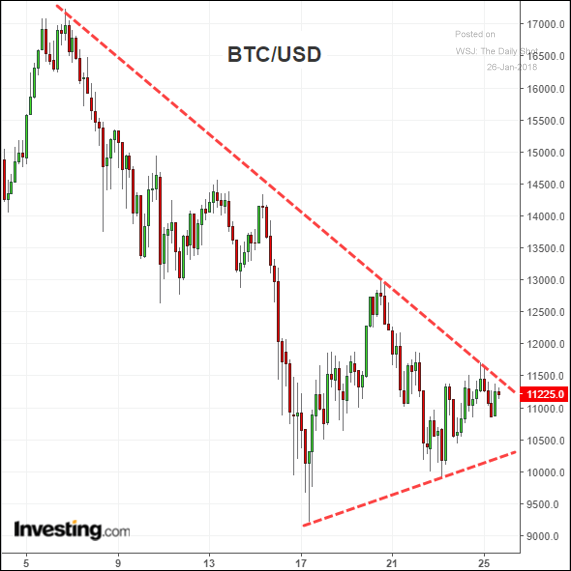 Cryptocurrencies: Is Bitcoin ready for a breakout? 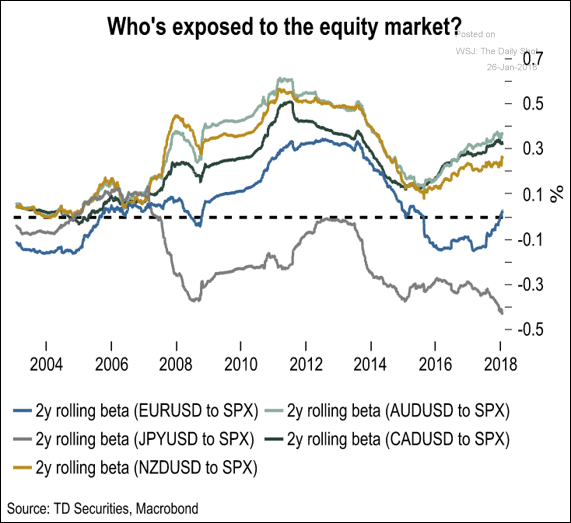 Global Developments: Which currencies have the highest/lowest beta to the S&P 500? 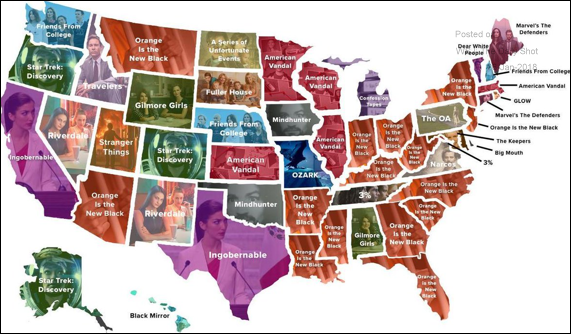 Food for Thought: Most binge-watched TV shows of 2017 by state.